Navigating through the digital landscape can be a little murky at times. These channels are constantly evolving requiring you to keep pace with industry knowledge, insights, and best practices. It requires hard work and continuous effort and adjustments to your plans if you want to be successful and that hard work will pay off. According to a recent study, overall revenue from online fundraising grew by 23% in 2017, which marks 6 years of growth. The trends are clear and adopting digital channels are no longer a choice, but a necessity for survival. People won’t give you money for just showing up. You need to do far more than blogging 200 words once a week or posting the occasional Facebook update if you want people to care about what you have to say. You have to be prepared to constantly produce, engage and promoting content even if it’s for an audience of one. Heck, it could even be your kid’s friend’s parents. It doesn’t matter because every audience member counts. At best case, you’re looking at a 6-12 month journey of grinding. There will be extreme highs and extreme lows. Periods will come when no one is reading your content and pass quickly where you experience hockey stick growth reaching thousands of readers. A realistic expectation, however, would be 18 months before you will start to see audience growth. It’s not enough to just show up, you have to put in more effort than anyone else is willing to do. And that’s what frustrates me the most – people give up too soon. You can’t expect to blog for 2 or 3 months and get tens of thousands of people to your site buckling at the opportunity to give you money. A lot of people will fall into this category simply because they’re not willing to put in the work. It’s also hard to justify the amount of work required for little to zero ROI. Invest the time, learn from your mistakes, and focus on your audience. If you’re willing to create something far better than anyone else is willing to put the work into that eventually, you will see traction. You need to go into this new venture with the mindset that your investments will not be immediately recouped. It’s not uncommon for email and content marketing efforts to take years before it matures in a way that it will drive meaningful traffic to convert on your website. You can potentially speed things up with online or social advertising, but it’s not a sure thing. Simply put, 10X more traffic to your website does not guarantee a 10X return. In fact, a more realistic outcome of 10X traffic would be a 1.5X – 2.0X return. Again, the money, at least initially, is not the focus. It’s typically best to play the long-term game by delivering content that is meaningful and solves the problems of your audience. 2018 is the year of being customer-centric. At least that’s what the trends are showing. The marketing software giant HubSpot recently released an article on how the traditional marketing funnel is a thing of the past. Instead, they suggest focusing on a customer-centric experience will generate a better long-term opportunity and ROI. Social media, to this date, still offers the most bang for your buck in terms of reach for the cost. You can go down the route of spending money on advertising, which works and is far more effective than ANY other method online. Or, you can spend hours tracking down and reaching out to people who fit your target market. Note: No templates or cut and paste BS. These need to be honest and value-adding message otherwise it will be marked as SPAM and that person will never talk to you again. Keep doing this until you start to see traction. It may take months or a few weeks with a proper strategy. Eventually, if you have something that’s worth the attention then you will grow your following. Otherwise, go back to the drawing board and come up with reasons why your content didn’t perform as well as you had expected, make adjustments, and try again. Google announced their Mobile First Index on November 4, 2016, meaning websites will soon be prioritized by their mobile version over it’s desktop version when choosing to deliver a search result. The announcement wasn’t surprising, as many in the community had speculated mobile would play a big role in Google’s future web search strategies. But, optimizing your pages for mobile can serve more than just an aesthetically pleasing experience for visitors. Enter Conversion Rate Optimization (CRO). CRO is the process of increasing the chances a person takes a favorable action on your site, such as submitting a form, making a donation, or volunteering their time. A/B testing is a popular strategy used to test multiple variations of a page to narrow down the top converting one. Optimizing your donation pages to create a consistent experience from the desktop version is okay, but it can definitely be improved upon. For example, a lengthy form that takes 1-2 minutes to fill out on a mobile device causes too much friction for the user leading them to abandon the page before completing the form. So how do you remove the friction? Simplify the entire process into as few steps as possible. You can then expand upon this by testing variations using different copy, color, fonts, graphics, and so on. However, the donation process itself should be as uncomplicated as possible and should be understood at first glance. Live chats are a great way to engage with visitors by offering an instant way to answer their questions or assisting with issues. A recent study also showed that when a website offered a live chat on their page they saw a noticeable improvement in overall service quality and a 24% increase in conversions. Another benefit of adding a live chat to your site is to collect audience information. Start by adding a chat bubble that pops up asking what types of content the visitor would be interested in reading more about. Then, take that information and use it as a piece of pillar content through a series of guides or chapters. Be sure to do your keyword research and identify if there is a need for your content by searching answers on Quora. Finally, convert those chapters into a condensed eBook to give to your audience or offer as a gated piece of content. Live chats are inexpensive starting at $20.00 per month and extremely easy to set up. Each platform offers a wide selection of customizable features for you and your team as well as branding options for your organization’s logo. As an alternative, Facebook chatbots can be used with similar results and is a great tool to leverage if your community is most receptive to that platform. 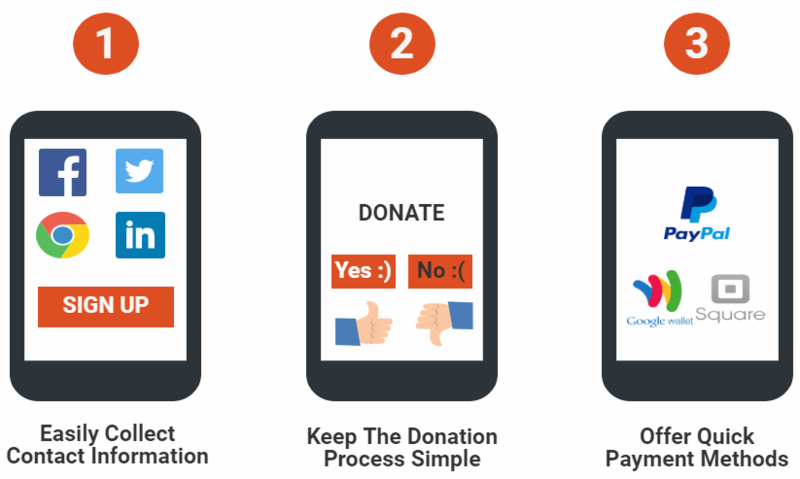 Steering your organization towards online fundraising success is no easy task. Even when your pages have tons of traffic it won’t guarantee that it will convert into paying customers. Marketing, in general, is all about experimenting and testing new ideas to see which provides the best results. That means you will end up investing in strategies or tactics that will fail and that’s okay. It also takes time, often 1-2 years, before seeing anything resembling results. But out of that failure and long-term investment comes learning and from that emerge new strategies and tactics. 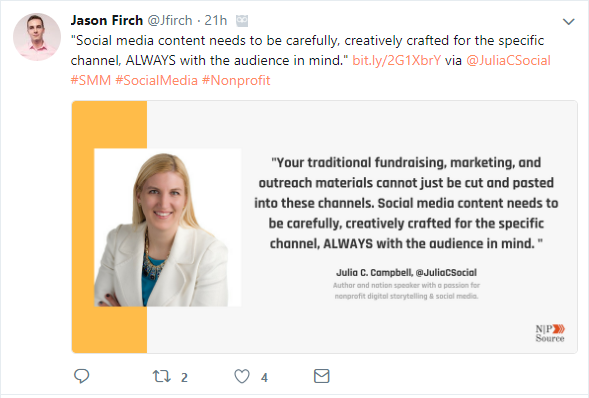 In the end, you should be focusing all of your marketing and fundraising efforts on building your audience and serving their needs and interests above your own. Written by Jason Firch, this article first appeared on the Salsalabs blog.